Crown Transmissions, your local Best Rated Auto Transmission Shop for both domestic and imported automobiles, has been serving the Greater Atlanta Area for more than twenty-three years. Since 1995, our certified technicians have conducted essential and effective repairs for all makes and models. We specialize in automatic transmission work, with loyal customers from Atlanta, Marietta, Jonesboro, Riverdale, College Park, and Decatur. Over the past two decades, thousands of customers have taken advantage of our in-house payment plan, making unexpected repairs easier to handle for families everywhere. To top it off, we are ATRA (Automatic Transmission Rebuilders Association) members, making us an expert automobile repair center. Our service center is conveniently located in Marietta, Georgia. We share a fence with the Dobbins Air Force Base, offering a discount to all base employees. We’ve repaired transmissions in Mercedes-Benz, BMW, Honda, Acura, Lexus, Toyota, Porsche, Nissan, Ford, Chevrolet, and Mazda vehicles – along with dozens of others. And, even though we specialize in transmission repair, we also offer brake replacement, oil changes, engine repair, and differential repairs. 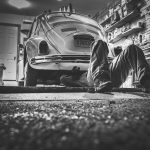 How do you know when you’re working with a Best Rated Auto Transmission Shop? It can be difficult to tell when you haven’t done your research. Fortunately, with Google Reviews, it’s no longer difficult to separate the duds from the desirable locations. Crown Transmissions has received more than seventy real customer reviews on Google. We look forward to reading and responding to reviews on a weekly basis. We take great pride in our loyal customers! You can also spot a quality transmission shop when you visit for the first time. Are the technicians prepared and willing to explain the problem? Was the vehicle fixed the first time? Did you understand all options available to you? Were you consulted before decisions were made? Were you satisfied with your overall experience? Did you feel special and appreciated? If you can’t say yes to the vast majority of these questions, there’s a problem. Finally, you can spot a Best Rated Auto Transmission Shop when you visit its website. You’ll find pertinent information about services, technicians, specials, and certifications. If a company doesn’t have a website, consider choosing a transmission shop that communicates more openly with potential customers. You’ll find these shops often have customer service hardened to a science. At Crown Transmissions, we offer transmission repair, transmission replacement, and transmission rebuild. We also specialize in diagnostics – otherwise known as the ability to determine what the problem is. Transmission Repair often involves replacing specific parts in order to make a transmission operational again. When transmission failure has caused too much damage, a simple repair may not be a viable option. 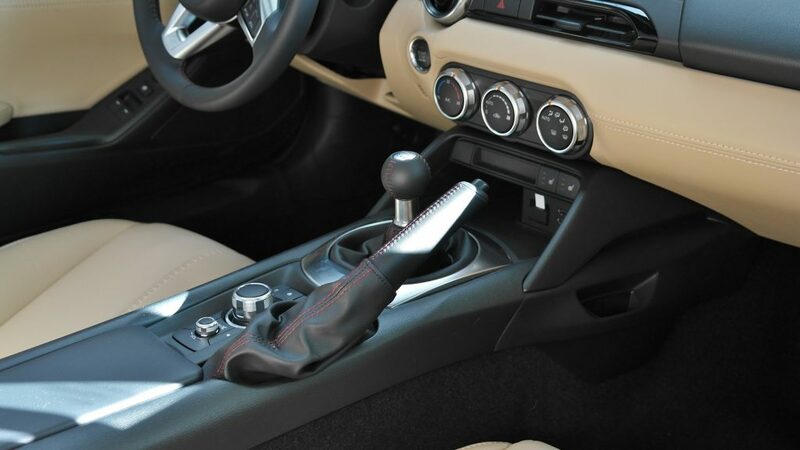 Never replace your transmission without getting a second opinion. Many times in the past twenty years, we’ve met customers who were told they needed an entirely new transmission when, in reality, they needed a repair. 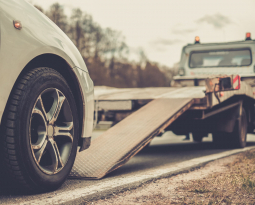 If you aren’t sure whether you need a repair or replacement, consider the type of transmission failure and the number of miles you’d like to reach before getting a new vehicle. Transmission Rebuild is a special kind of repair. Before the rebuild begins, all parts are inspected, disassembled, and cleaned. Next, all friction-lined components are replaced. Then, all seals, gaskets, metal, and sealing rings are replaced. Following this replacement, a new (or rebuilt) torque converter is installed. Finally, all solenoids are cleaned, tested, or replaced. During a rebuild, more durable parts are placed in your transmission. 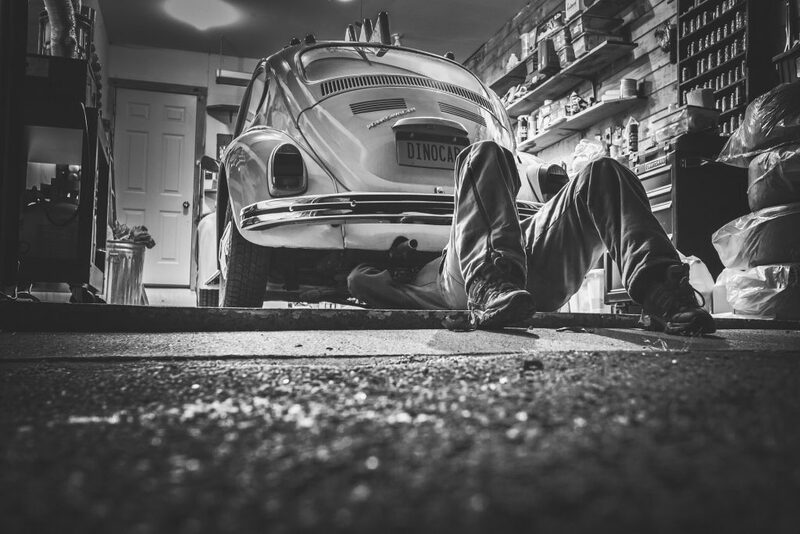 We offer rebuilds at our Best Rated Auto Transmission Shop because it offers a middle ground between repair and replacement that our customers often appreciate. 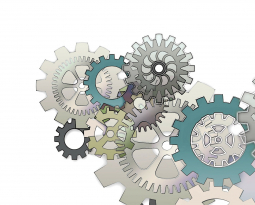 Why choose Crown Transmissions? We offer a number of useful benefits, including free towing for all repairs within thirty-five miles of our shop, a free rental car through Enterprise with a daily limit of twenty-five dollars, an interest-free payment plan up to ninety days, free storage after your repair is completed, ongoing senior and military discounts, and standard warranties for 12,000 miles or twelve months. 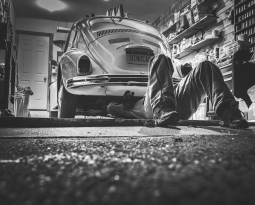 When should your vehicle meet our technicians? It can be difficult to tell. There are, however, some common warning signs. These signs include rough shifts, slipping shifts, delayed engagement, leaking fluid, and your check engine light. Slipping shifts involve your vehicle changing gear for no apparent reason. Rough shifts are the opposite – your vehicle failing to change gears properly when it should. 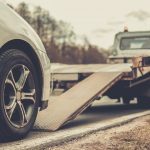 Delayed engagement involves a lengthy period of time between switching your vehicle into drive and actually being able to drive. 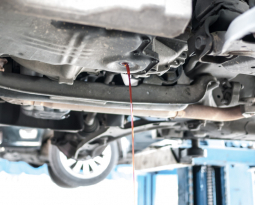 Leaking fluid can appear as bright or dark red and should be treated as quickly as possible. Finally, a check engine light may not mean your vehicle is facing serious problems, but it should be diagnosed quickly. At Crown Transmissions, we care deeply about the safety of your family and the longevity of your transmission. To learn more about our company and our services, visit our Facebook Page. There, you’ll find useful information and updates on specials, transmission services, and more. You can also call our team at (770)-956-1344 to obtain a free estimate. Request an appointment online today!